I love Showbie. As a 1:1 iPad school, Showbie allows me to manage the “paper” aspects of my classroom. I love that I can share music in a folder (e.g. 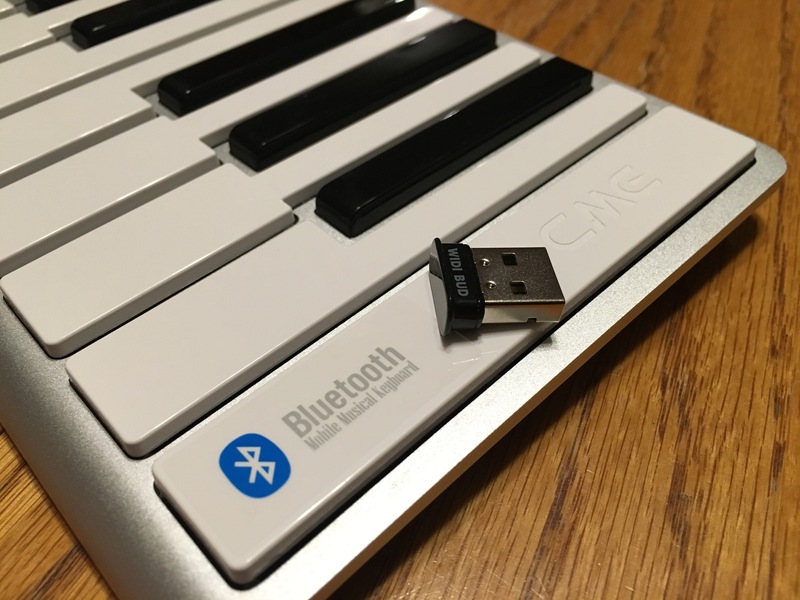 “6th Grade Spring Concert Music) to a class, give students access to that music, and then hide or delete that folder after the concert (collect the music with a couple of clicks). While in Showbie, students can turn pages left to right (something that a surprising number of PDF applications do not allow), and students can write in their music. Simply put, Showbie is worth the annual fee simply for music management for 350 students. Our school adopted the enterprise version of Schoology last year, so when there are tasks where I can use Schoology, such as submitting audio or video for assessment, I use Schoology where I used to use Showbie for those tasks. Our choir program has paid for a subscription to Showbie the past years; as we will no longer be fundraising for our program, we may have to adjust how I use Schoology, adopting the free version and creating grade level “classes” instead of classes by hour/section as I have in the past. Showbie has both free and paid tiers. There are other benefits of Showbie–it can be a great way to share almost any kind of file between iPads, particularly if your district has restricted other means of sharing (e.g. AirDrop). The company has added many features to their web-based program, and it is now approaching the functionality of the iPad version. I was an ambassador for Showbie in the past years–and I remain a user and supporter–but I couldn’t find the time needed to support Showbie fully as an ambassador. So, if you haven’t noticed, I think Showbie is brilliant. A couple of days ago, Showbie announced that they will be partnering with Socrative, which is a multi-platform assessment program. I’m not sure if Socrative will continue as its own service or if it will be absorbed into Showbie, bur I do know that the one area were Showbie lacked as a program was assessment tools. Showbie has a rather effective quick grading tool, but was far behind other Class Management Systems when it came to assessment. While I am sure there will be some bumps in the road along the way, the merging of Showbie and Socrative should lead to a much more useful tool, and a more competitive tool to other programs in the educational CMS space. It will be exciting to see what the future holds for Showbie + Socrative! Today I presented on the subject of iPads in Music Education for the Wisconsin Center for Music Education. We covered a lot of territory today, and as usual, the later afternoon becomes a challenge with planned work/reflection time. I am very thankful for those that attended today&apos;s session (tomorrow is Chromebook day)…all of them elementary music educators. I have no problems presenting…but part of me wished that I could have flown out Amy Burns for the day…I heavily recommended her resources as well as Katie Wardrobe&apos;s resources! I was thrown completely off my game when one of the workshop attendees mentioned that a bunch of my elementary music apps were no longer on the App Store. As I have mentioned before, I plan to update all of my books when iOS 11 comes out. That is when I will painstakingly go through every link to make sure that apps are still available. I do have a list of apps on my website…and it was just shocking to realize that so many apps were just…gone. One of the iPad&apos;s strengths has been the abundance of quality apps, many at no cost or low cost. Granted, plenty of web apps have disappeared, too (do any web apps from the original iPhone still exist?). Don&apos;t get me wrong…there are still plenty of wonderful resources for the iPad (and Chromebook), and some stellar resources, such as forScore. I still think that forScore (or unrealBook) can completely change the instruction in any music class. Still–the unannounced disappearance of apps unsettled me. I think it might be related to the upcoming iOS 11 and companies deciding to abandon a product instead of updating it. #sad. I need to update my web list! A few minutes after the workshop closed, I received notice that none of my TMEA sessions were accepted this year (One on iPad, one on S-Cubed, two on ukulele). That is disappointing, but I have been accepted at TMEA several times (including sessions that I had to decline last year as I presented a number of sessions at the Maryland Music Educators Association the same weekend), and I have previously been declined at TMEA, too. The only sad part is that I have scaled back my presentations as my school was no longer giving me days off to present (they have never been asked to pay for travel, housing, or registration fees), and I was not sure what our new principal would think–so I had only applied at TMEA this year. If you had hoped to see me somewhere in 2017-2018, you&apos;ll have to come visit me at my school in Minnesota. And now…I just received an e-mail from Chromatik that they are closing their services on Monday. That adds to my "reeling." Chromatik started off as a service that would display (and sell) sheet music, as well as offer annotation and group distribution. Funding was made possible with angel investors. It was used on "American Idol," and I had high hopes for the service. They even offered a promo that if you had a certain number of students sign up, they would send you an iPad 2. I did that at my prior school, and that iPad is still in use. Later, Chromatik took a turn, offering sheet music linked with video for all kinds of tunes, with a subscription model. It became a web-based service, and I had continued to talk about it–although I didn&apos;t use it very often myself. I still wish it would have continued to exist and improve in its original form, as nobody still has the group distribution model worked out (although Newzik and forScore have some elements of those models). People at Chromatik, thank you for making a "go" of it, and I wish you all the best in your futures. 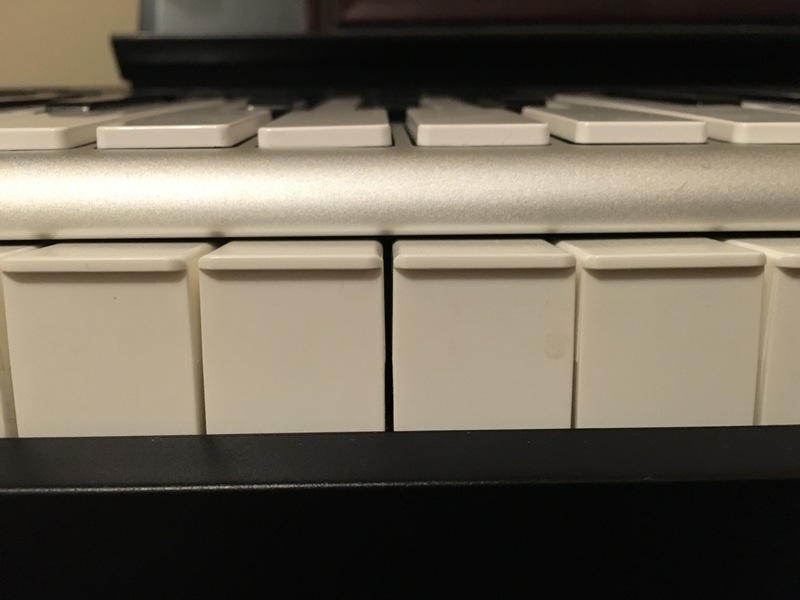 Here is the challenge as a music education technologist: there is little new to report on, yet the profession, as a whole, hasn’t adopted the old stuff. I really feel this is true. The iPad is no longer the "hot commodity" in music education, yet it is about to undergo a major transition with iOS 11 making it easier, better, and faster. The apps are still world class, and some of them exceed or improve on the abilities available on other platforms, often at a better price point. I still believe that the iPad is the best platform for music educators (note: not the only platform), and I would love to see every music teacher (that wanted one) have an iPad (preferably the 12.9" iPad Pro) for their instruction, regardless of what their students have or or are given. Again…forScore (or unrealBook) alone justifies the device. Having apps like Notion, Sheet Music Scanner, Notate Me, Luma Fusion (and more) just sweetens the deal. Tomorrow is Chromebook day. I&apos;m not against Chromebooks, and I want to help teachers use whatever device they or their students have. 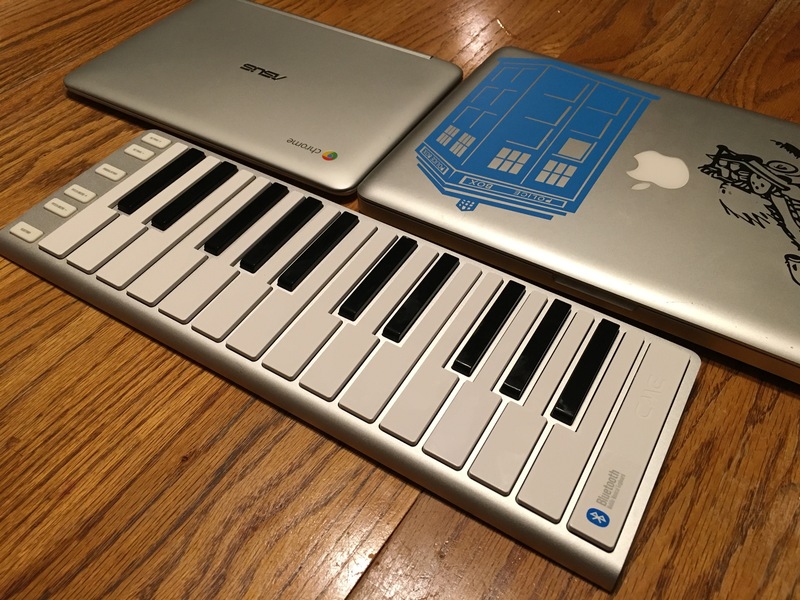 The Chromebook has improved a lot, and is so much more useful in music classes. Most of this is thanks to paid services (education versions), such as Noteflight, flat.io, and SoundTrap (and many others carried by MusicFirst, which is also brilliant). Android is coming (in fact, it is already on many Chromebooks), although there are issues to work out in an educational model. 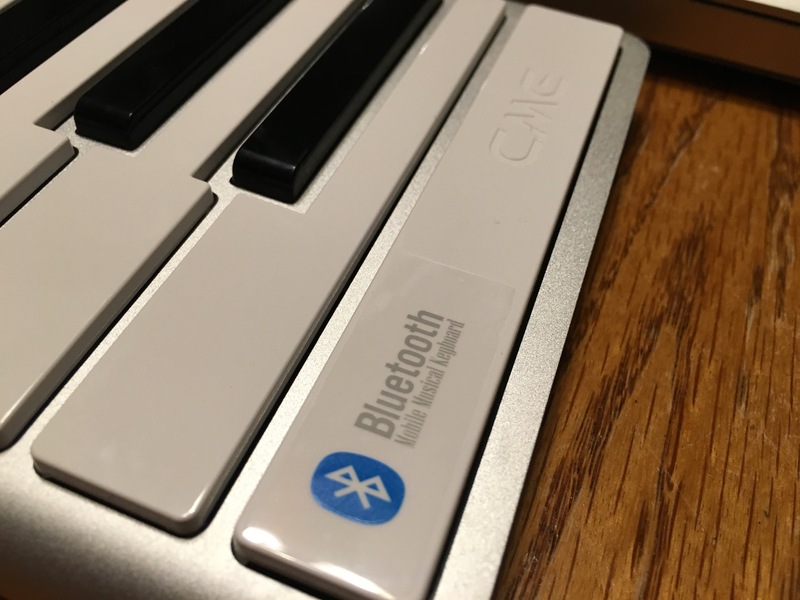 That said, Android isn&apos;t iOS when it comes to music education, and neither is Chromebook. The iPad still has a very important place–and not just because I like it. It just does more and it does it better. I just have to hope that we don&apos;t ignore it as a profession, as most music educators still haven&apos;t had a chance to see what it can really do! 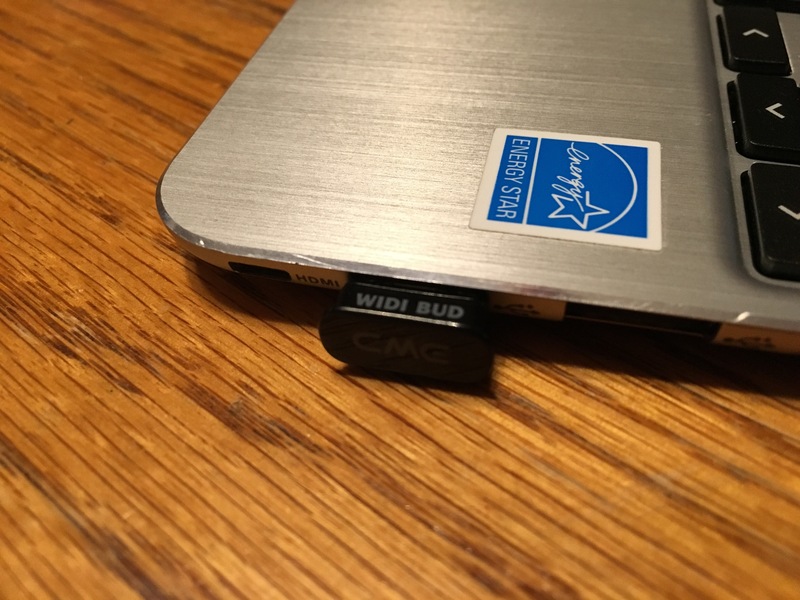 Presentations in Wisconsin next week…Chromebook question for blog followers. Next week, I am presenting sessions at the Wisconsin State Music Conference. One is on S-Cubed, Dale Duncan’s fantastic sight-reading method for middle school; the other is on Chromebooks in music education. 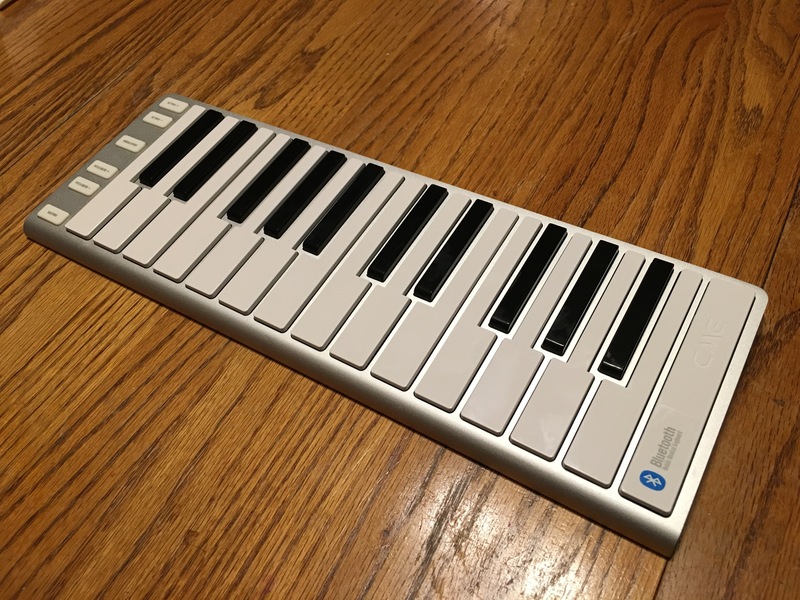 I have a pretty good grasp on Chromebooks in music education…but are there any recent developments that you have seen that I might not know about? I am fully aware of the “big” programs, such as SmartMusic, Noteflight, flat.io, SoundTrap, the MusicFirst products, and all the “general” websites such as Quizziz, Kahoot, and so on. 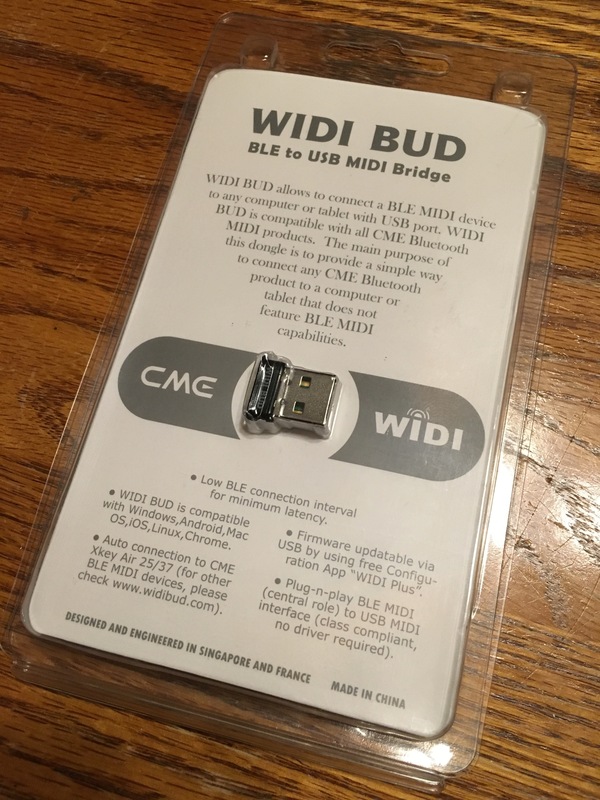 I also know about the WIDI Bud and the Chromecast, as well as Chome mirroring to Reflector and Air Server. That said, there might be something good out there that I don’t know, or new hardware that I might not know. If you know of anything, please send me an e-mail and let me know about it so I can share it with others. Copies of the presentations will be up in the “Past Presentations” area by Thursday. ISTE just wrapped up–a conference that I hope to present at and attend in the future. ISTE is the “big dog” conference of education technology, just as Winter NAMM is the big conference for music. ISTE released new standards for students, revising their 2007 standards. The standards don’t deviate that much from the previous versions, but there is a hope on ISTE’s part that teachers are doing more than just occasionally using technology these days. The new standards reflect a world that is more highly connected and a world where 1:1 programs are becoming standard place in our culture. If you missed the earlier news, Chromebooks are going to run Android apps in the very near future. This opens Chromebooks beyond the relatively constrained supply of apps avaialble on Chrome OS to the huge variety of apps on Android. It turns out that my Asus Flip, in the developer channel (nothing special, you simply turn it on) can run the early version of the Android functionality. I have been working with the new feature, and things aren’t working so well for the applications that I would use. However–it is early in the game, and this is only going to get better. Mobile Sheets is perhaps the best sheet music reader for Android, and it sort-of runs on Chromebook. Every time I exit the app, everything stored in the app is lost. That’s all okay–you can see where things are going. This is why the Wall Street Journal (rightly) predicted the end of Chromebooks–I fully expect that we will see Android become “unified” with Chrome within two years. Now here’s the big question: Android on Chromebooks will make “flip” models a much more useful tool in schools (and for any other location). Will your school drop the additional $50 to $100 per device to obtain this functionality the next time Chromebooks are refreshed? The other two big items were in relation to GAFE (Google Apps for Education) tools. Google Forms now offers a quiz option that allows teachers to make quizzes out of Google Forms. Yes, an add-on called Fluabaroo has done that for a while, but Flubaroo requires an extra bit of set-up that some teachers were unwilling to undertake. Now you can make a quiz with a single button option. If you are using Google Classroom–this will be incredible. Second, Google is going to offer a Chromecast for GAFE that allows students to send their materials to a teacher’s computer screen (which would ideally be connected to a computer). In my own tests, Chromecast is significantly slower and latent versus Apple’s AirPlay, but someone lost in the desert can’t complain about what kind of bottled water they are given. In other words, this is a solution for Chromebook schools that don’t have a solution, so it should be celebrated. Yes, I remain an “iPad” guy, but things are starting to change with Chromebooks in a way that offers hope for those of us who don’t teach with desks in our rooms or need keyboards (at least all the time). Flat.io also had a strong presence at ISTE, which is wonderful. I hope they can make it to some of the larger music education conferences in the United States in the future (the company is located in France, so conference involvement represents a significant investment in capital).